Medical Laboratory Scientists highly educated laboratory scientists who perform tests on blood, body fluids and tissues which aid the physician in the diagnosis,management, and treatment of disease. 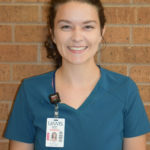 Medical Laboratory Scientists (MLSs) interpret data, analyze results, develop and evaluate new test procedures, manage information, and communicate with other members of the health care team. Approximately 85% of medical decisions are based upon the test results generated by the clinical laboratory. Yes. In fact there is a nationwide shortage of medical laboratory scientists. Most of our students have multiple job offers before they graduate. What kind of salaries can graduates from the medical laboratory science program earn? In the Little Rock area, recent graduates are currently earning from $34,500 to $37,500 per year. Higher salaries are available for working evening shifts, night shifts or weekends. Experienced supervisor and manager positions average from $45,000-$60,000 and over. What is the scope of testing I will learn about in the medical laboratory science program? Are medical laboratory scientists limited to working in a hospital laboratory setting? No. 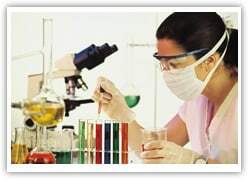 Because of the medical laboratory scientists comprehensive course work, extensive training and problem-solving skills, many choices for practice are available including hospital, clinic, public health, research, and private laboratories; companies manufacturing laboratory analysis systems, supplies, equipment or media; state or national crime labs; physician office laboratories; fertility laboratories; and biotechnology, food, and cosmetic industries. A Bachelor of Science degree in Medical Laboratory Science also provides a strong foundation if a student should decide to pursue a career in medicine, dentistry, law, pharmacy, or other advanced degree. Do medical laboratory scientists take a state or national licensing examination? 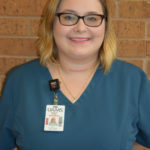 Arkansas clinical laboratory personnel are currently not required to be state or nationally licensed; however, most hospitals do require employees to be certified by passing a nationally administered exam. 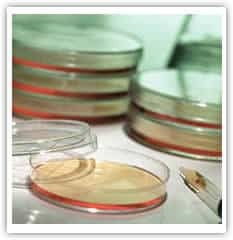 Where can I find out more about medical laboratory science as a career? What if I have a question about the profession of medical laboratory science? Contact the department by email or by phone for more information, and we will gladly answer your questions and send you a packet of information. A general tour of the UAMS Campus can be arranged with the Student Recruiter by calling the Welcome Center at 501-686-5730. 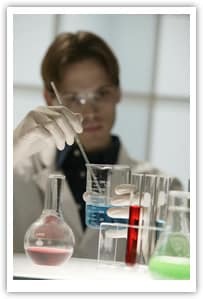 Can I work while completing the Medical Laboratory Sciences Program? We recommend that students not work if at all possible, but if they must work, limit the number of hours worked per week to not more than 8 to 10 hours. What hours will be in attendance at school while enrolled in the Medical Laboratory Sciences program? We advise students that the schedule may be 8:00 to 4:00 Monday thru Thursdays. And we also schedule an occasional Friday. Students are admitted once a year for the fall semester, and classes begin in August. Is it “hard” to get accepted into the program? Admission to the program is competitive with the advantage going to those students with higher cumulative and prerequisite GPAs and ACT scores. Should I send a college transcript for all college coursework? Yes, it is a requirement for admission. Yes. Interested individuals may contact the Office of Student Financial Aid (telephone 501-686-5451) for information concerning available grants, loans and scholarships. Please visit the Prerequisite Courses page to review requirements. What courses are recommended as electives? Consult the program at 501-686-5776. If I am past the traditional college age, am I too old to enter laboratory medicine? Certainly not. Student ages in the program range from 20 to 50.